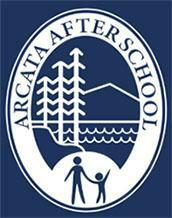 Arcata School District is a K-8 district comprised of two schools, Arcata Elementary School and Sunny Brae Middle School, with a total enrollment of about 545 students. We are located in the city of Arcata in northern Humboldt County, on the coast of California. Arcata is a rural city of 17,000 people with an economic base of agriculture, forestry and light industry, and is home to Humboldt State University. Our students are served by the Northern Humboldt Union High School District. Arcata School District is small enough to maintain close relationships with our students and parents and big enough to offer a wide array of programs, courses and extra-curricular activities. We strive to help students become responsible, productive, contributing members of the global community and lifelong learners with a love for school and a sense that they are important and valued in the learning process, the school and community. Arcata School District provides an environment in which students are challenged, excellence is expected and differences are appreciated and respected. The District offers classic enrichment for all students during the regular school day and Extended Day programs including Visual Arts, Dance, Instrumental and Choral Music, Chess, Robotics, Makers workshops and other hands-on opportunities. Teachers incorporate technology throughout the instructional day and we are proud to be a Google Apps for Education District. Students engage in 21st Century Learning skills such as collaboration, communication, critical thinking and creativity in both digital and classic modalities to become College and Career-ready citizens. Parents are valued partners, an integral part of our school community, and encouraged to participate in their child’s education. Parents volunteer in classrooms or for special events, and hold seats on councils and committees. We have a strong P.T.O. which organizes fundraisers and sponsors the Family Science Night. ASD partners with Humboldt State University and community organizations for volunteer assistance with events and projects as well as tutoring, student teaching and other internship opportunities. 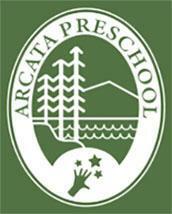 The Arcata Preschool accepts children ages 2 1/2 to 5 years and operates year-round. The After School Program is open daily during the school year and hosts a popular Summer Camp. The Arcata Family Resource Center provides classes in parenting and cooking, job skills training, referrals for a variety of family needs, winter coat closet, clothing exchanges, and assistance for Health and Wellness access among other services. 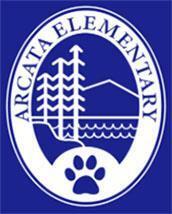 The Arcata FRC is housed on the Arcata Elementary campus, Room 19. 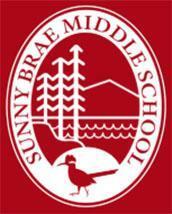 ASD has solar installations at Arcata Elementary, Sunny Brae, and Coastal Grove Charter School. Arcata Elementary has a robust organic garden that contributes to student nutrition, with a Vermiculture system and compost bins fed from cafeteria food waste that contribute to sustainability education on site. If you would like to learn more about our schools and programs, give us a call or stop by the District Office or one of our schools. Arcata School District is a wonderful place for students to learn and grow.